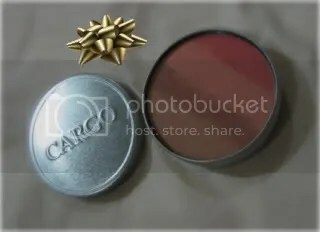 Cargo Beach Blush in Tenerife a-two-in-one blush and bronzer. So pretty and it’s matte so I am really curious of how it turns out. Don’t know when I’m gonna really touch it though. 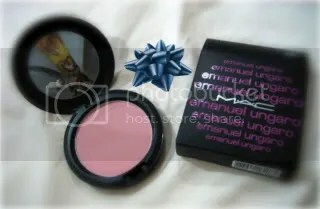 The blush is so pretty in its packaging. And MAC’s Beauty Powder in Flower Mist Dew. It’s from their newest collection, the Emmanuel Ungaro’s. It’s a pretty soft pinkish powder. I am not really sure on how to use it though, lol (don’t worry, I’m asking around). Last but ain’t least, not from Paris, but with a big big L.O.V.E. 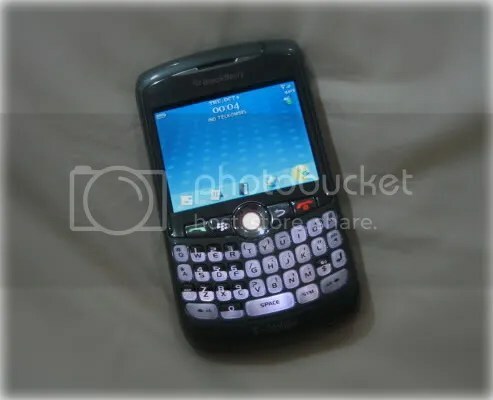 .. Blackberry Curve (I think it’s the 8330 one) in coal. It isn’t new but since my dad has it and he doesn’t use it, he asked me if I wanted it. Why not?! Heheh.. I wanted Bold before. But since I don’t need it, I thought I’d wait until I am working. But heck, curve is pretty.. and LC uses it in some Hills’ episodes. I’ll just get the colorful skins so my personality stands out. Z was gonna get me Bold.. and my dad said “I’ll swap my blackberry with your bold”.. lol, sorry Dad, I am gonna top the money up to fund Acura MDX..
Money Money Money Thanks to Blog..